what a sight that will be in the sky. An impossibility? An adynaton, a hyperbole? I'm hoping I'll be the first to see. 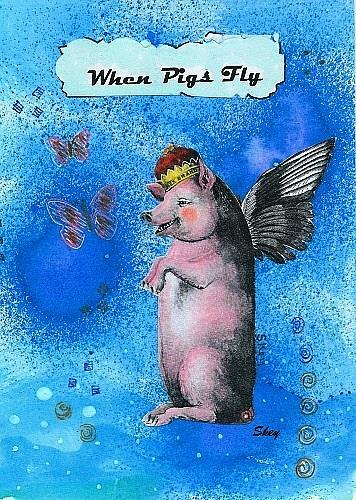 "The phrase "When pigs fly" is an adynaton- - a figure of speech so hyperbolic that it describes an impossibility. The implication of such a phrase is that the circumstances in question (the adynaton, and the circumstances to which the adynaton is being applied) will never occur."